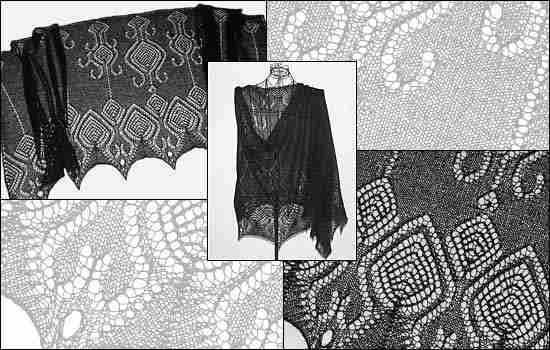 *Cascade* is a rectangular stole knitted from the upper long side (neckline) downwards. An ornamental pattern is set against a stockinette background and ends in a pointy edging. This pattern is available in several languages. Please select your language below. There are no shipping costs because you will get the pattern via e-mail.